to 1880 and contains proprietary results from research performed over the past 136 years. 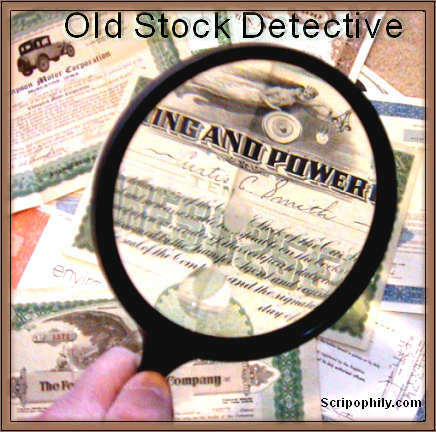 Scripophily.com’s Old Company and Securities Research Department acquired the Old Stock & Bond Research Service archives of R.M. Smythe and from John Herzog (Herzog & Co.), Inc. This included all research reports, printed and electronic archives, publishing rights and copyrights on obsolete research reference material published by the Marvyn Scudders Manuals, the Robert D. Fisher Manuals, R.M. Smythe and their obsolete research services. As a result of this acquisition, we are now the World’s #1 Old Stock & Bond Research Firm which services have been performed continuously since 1880. Our clients include attorneys, CPA’s, corporations, institutions, stock brokers, trustees, estates, banks, executors, and individual stock and bond certificate holders worldwide. What are the credentials and experience of the people doing the research who claim to be experts? of Certified Public Accountants, and the American Institute of Certified Public Accountants. 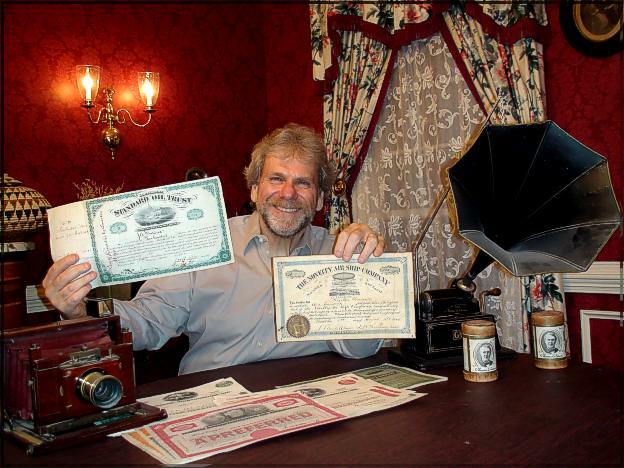 He had worked as a Chief Financial Officer and in other capacities for both Public and non Publicly held companies prior to founding Scripophily.com and Old Company Research. He is also the president of the Professional Scripophily Traders Association. Old Company Stock Certificate Research Service is celebrating 20 Years on the Internet and was founded and is managed by Bob Kerstein. Old Company Stock Research Service is the successor to the archives, publishing rights and copyrights on obsolete research reference material published by the Marvyn Scudders Manuals, the Robert D. Fisher Manuals, and the Herzog & Co., Inc. obsolete research services, which have been performed continuously since 1880. Does the company have a phone number to call to ask questions to a live knowledgeable person? You can call our offices anytime toll free at 1-888-786-2576 or direct at 703-787-3552. Where is the research company located? Are they located in the United States or simply on some obscure website on the Internet? We are located in the Washington DC Area in Fairfax, Virginia. What are the resources of the company performing the research? Do they have their own proprietary data base? Research Service has its own proprietary date base of information as well as the successor to all material published by the Marvyn Scudders Manuals, the Robert D. Fisher Manuals, R.M. Smythe and the Herzog & Co., Inc. obsolete research services, which have been performed continuously since 1880. What kind of Feedback does the company have? Linkedin, The Better Business Bureau and eBay. Does the company have reliable resources to determine the value of your certificate as a collectible if it has no redeemable value?